Bitcoin is a cryptocurrency and its main purpose is to act as a payment for goods and services. The Bitcoin network has the capacity to allow users to perform this action. All a user must do is to get a Bitcoin wallet and send amounts to the receiving wallet address. This is good enough for a basic transaction. This is where Bitcoin payment processors come in. The main job of payment processors is to streamline the process of paying for purchases, both for the merchant and the buyer. Most of the advantages are for the merchant, but the people buying services or goods get some benefits, too. Here are some of the best payment processors that help out both sides of the payment equation. GoCoin believes that when a customer asks if they can pay with a particular currency, then the answer should be in the affirmative. 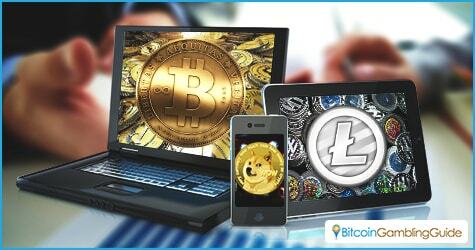 The service ensures this by accepting Bitcoin, as well as two of its more popular cryptocurrencies—Litecoin and Dogecoin. The payment processor has an easy-to-integrate API that allows users to pay with a simple process, making things easier for them. 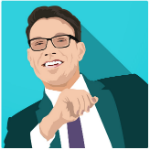 Coinify is a payment processor that serves double-duty. For merchants, it allows for global transactions that result in real money in their bank accounts. For users, though, it enables them to actually pay bitcoins using their credit card. This would be useful for those who want to top up their wallets or just to invest in it. Coinify also does the reverse, with bitcoins converted into fiat currency in just minutes. Another payment processor that brings a lot to the table for the individual user is CoinKite. Anyone who signs up with them would be assured of the safety of their bitcoins since CoinKite uses two-factor authentication. This feature ensures that the correct user is accessing the wallet. Additionally, CoinKite can provide multi-signature wallets and have wallet owners notified when a transaction is pending with the account. Finally, the service allows people to send bitcoins via SMS or e-mail. 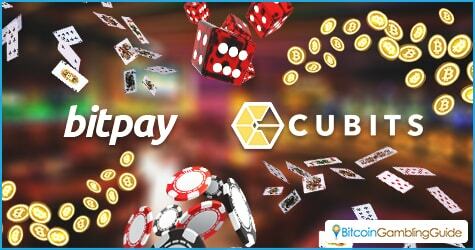 Cubits is a popular European Bitcoin payment processor. The service’s main feature is that it can instantly allow payment processing in a wide variety of currencies at 17 to date. Additionally, an element that quite a few users would appreciate would be the fact that Cubits processes payments for a few gaming websites, specifically the casinos operated by SoftSwiss. Some payment sites are strictly anti-gambling, which leave many gamblers in the lurch. With Cubits, their payments are more secure and quicker to be processed. One of the world’s most popular payment processors, BitPay is rich in features. It is both secure and easy to use, enabling users to experience hassle-free Bitcoin payments in any sector. BitPay also handles some gaming accounts, so online gamers will not need to worry about having their accounts frozen when they make transactions related to online games. The recent partnership Wargaming and BitPay, as well as those with Steam and GASH hint the payment processor’s dedication to broaden its market. With BitPay, online merchants are assured of reliable payment processes since it has been in the industry for years already, acquiring enough expertise to continue providing quality services.